As the first website worldwide, SLRGear.com had the opportunity to thoroughly test the Sigma 24-35mm f/2 DG HSM Art. According to a Review on Imaging-Resource’s partner website, the 24-35/2 A has very similar imaging qualities to its crop sibling (18-35/1.8 A). We think Sigma has done it again! Sigma once again dares to be different and builds a unique lens not offered by the major manufacturers. 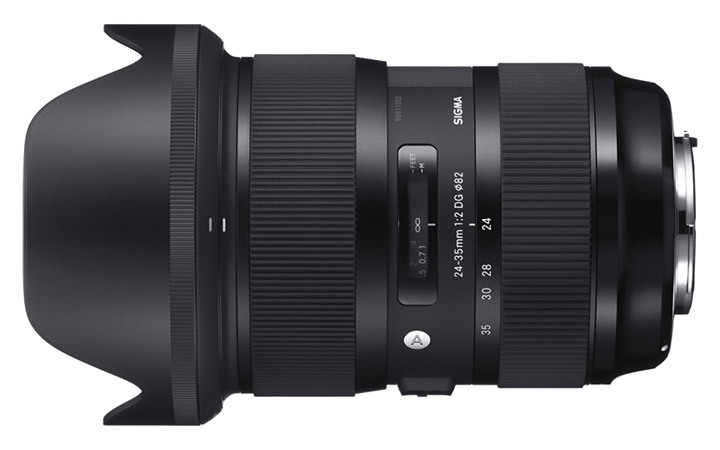 In what is essentially a range of fast prime lenses built into a single zoom lens, the new Sigma 24-35mm is stunning with super-sharp images, even when shot wide open. Combined with its fantastic build quality and excellent AF performance, the Sigma 24-35mm ƒ/2.0 Art lens is a great option for street shooters, concert and event photographers, even landscape and astrophotographers; or just about any full-frame DSLR owner looking for stunning sharpness and excellent low-light performance. However, since pictures do not necessarily have to concur with measurements, Sigma US published a series of photos on their blog. There you can see a, for a wide angle zoom, rather appealing Bokeh. Previous: Previous post: Is the development of sensors going into the wrong direction because of the obsession with High-ISO?